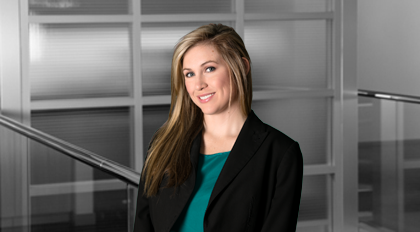 Elizabeth (Beth) A. Buckner works as an associate in Moore & Van Allen’s Federal & International Taxation practice group. Her practice includes consulting on federal, state, local tax matters and economic development matters. Buckner negotiates economic development tax incentive packages at the state and local levels for relocating or expanding businesses throughout the country with a focus on businesses expanding or relocating in the Southeast. In addition to negotiating these incentive packages, Buckner’s practice includes assisting economic development package recipients with the ongoing monitoring, compliance and reporting associated with such packages. Buckner has experience advising corporations, partnerships, limited liability companies and public service companies on a broad range of state and local taxation matters including assisting these clients with planning, compliance, controversy and policy matters. Buckner advises clients on matters involving a broad range of tax types including corporate income, franchise, sales and use, occupancy, license, gross receipts and property taxes. In addition, Buckner has experience assisting clients in calculating and claiming research development credits at the federal and state levels and with the classification and treatment of fixed assets. Buckner earned her LL.M in tax from the University of Florida and her J.D. from the University of South Carolina, where she served as research editor of the ABA Real Property Trust and Estate Law Journal.